Not all twentieth century urban thinkers were as celebratory about the modern city, especially when evoked as a triumph of individualism and technology. They cautioned against the ability of the city to create a hard shell of rationality and efficiency as it shed feudal past-lives. According to Georg Simmel, the tendency towards atomization was to be guarded against. This refers to disconnectedness, divisiveness and fragmentation. Atomization can affect individuals, groups and even entire communities. For Simmel, true individuation creates interdependency and solidarity. It promotes diversity and creativity. Unfortunately, many modern systems of urban governance do not encourage this. They prefer weakened atomized units in any form. This way they can control and manage them more easily. A move towards more technology, mechanization and automation, goes hand in hand with greater control. Inevitably, more rational, hi – tech efficiency creates robotic rather than modern citizens and ironically, atomized individuation, revels in mobs and crowds. Which brings us to Mumbai, a long time poster city for Indian modernity. A city that thrives and revels in modern paradoxes. At first glance, it seems to be composed exclusively of crowds and mobs. The stations pour out people commuting from far away lands every day, to the numerical magnitude of small nations. Its trains run mechanically, to and fro, on weather beaten tracks and creaking coaches, tirelessly, day in and day out. Like all modern metropolises, the city is definitely cyborgic. Half human and half machine. It follows timetables fairly obediently. Trains and buses more or less run on schedule. People follow the broad rules of reaching their place on time returning home to their families in the evening. They do their jobs with diligence. The complication is that Mumbai is more human on the cyborgic scale. And it is this humanity that the city’s administration - not just the railways – relies on to keep the machinery going. If anyone has commuted on trains during rush hour – they will know that there must be something deeply human – perhaps even saintly – about the Mumbaikar. The fact that she can create a world of tolerance, laughter, and acceptance in those conditions is nothing short of heroic. But to be human means to be made of flesh and bones and blood and sweat and therefore susceptible to dying. When humans die in the machine, a large chunk of humanity in the city dies. And if there is no sincere and lasting response from the administration then we can be assured that we are far less worthy of wearing the mantle of a modern city. But the question is: what should the response be? Should it be more high-tech interventions? There are similar crowds managed by mechanical infrastructure in cities like Tokyo as well. Even there the crowds swell dangerously when there is a glitch in the matrix and trains come a few minutes late creating a cascading effect on commuting crowds. It would be tempting to compare the high-tech infrastructure of that city to the poor one here and demand that we become more like them. The fact of the matter is that an atomized, machine like city is not what Mumbaikars want. They do not want hi-tech for the sake of hi-tech. They do not want infrastructure policy to favour atomized car - based commuting while public transport languishes. Mumbai’s humanity should not be about submitting to bad infrastructure. Neither should it be about moving blindly towards high – tech modernization. 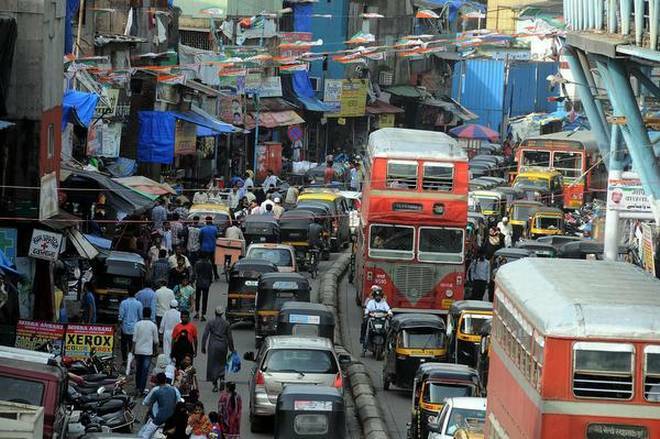 What Mumbaikars want is already being lived out by them, but with no official support. A large amount of residents, especially who work hard for the local economy, live in slums where their work and residential lives are enmeshed, something which urbanists all over the world encourage. The city’s labour force is ready to work over flexible hours so that crazy crush loads in one direction are not the only choice commuters have. With advanced telecommunication systems, working from home on certain days and hours is also a real possibility. All these are extremely relevant choices that are more in tune with a city that is genuinely modern and human in spirit such as Mumbai. This more than anything else needs to be factored in our response to the horrific incident that occurred recently.